Since early 2018, PSSI and Eutelsat have been working together to broadcast feeds for sporting events such as NASCAR races, college basketball and Alliance of American Football (AAF) games to leading networks in the US. Leveraging capacity on the EUTELSAT 113 West A satellite, PSSI’s leading engineering broadcast solutions have enabled their customers to reach unprecedented levels of cost and logistical efficiencies. 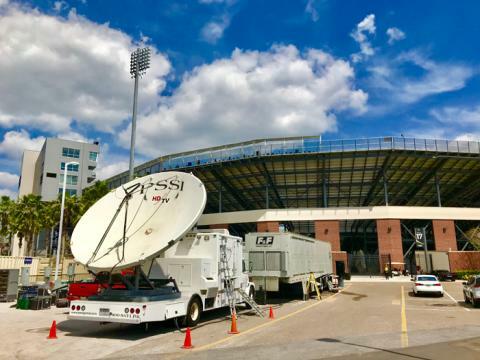 In March 2018, they successfully executed the largest “at-home” transmission in broadcast history, using C-band capacity on the EUTELSAT 113 West A satellite to support a single NASCAR event, the Rolex 24 at Daytona. The task involved a total of 28 video paths and 75 audio paths for 32 consecutive hours. PSSI transmitted all video paths to NASCAR’s production facility in Charlotte, North Carolina from a single PSSI production and transmission truck, the C27 mobile teleport. 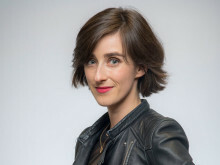 This achievement broke new ground in the sector and was recognized with a Technology & Engineering Emmy Award at NAB 2019 last Sunday, April 7. In recent months, PSSI and Eutelsat’s have also been working together on transmission and data services for Alliance of American Football games, for which PSSI is using C-band and Ku-band capacity on EUTELSAT 113 West A to manage at-home transmissions for eight to 10 video paths per game from all venues, as well as IP services over satellite for the remote production crews. PSSI is also providing comprehensive at-home production services in their K34 uplink/production hybrid for all the pregame and halftime shows, including switching, graphics, replays, audio mixing and more for AAF’s virtual set, plus backup game transmissions out of K34’s antenna, for broadcast by major sports networks. Today, PSSI and Eutelsat’s relationship continues to expand into new IP and data initiatives focused on enabling voice and Internet capabilities over satellite to enhance the value both companies provide to America’s leading sports leagues and television networks. This new stage of collaboration further entrenches the partnership between Eutelsat and PSSI, reflecting the important role satellite continues to play for sports broadcasting, particularly due to its ubiquitous coverage and quickly deployed solutions.